This year on Mahashivratri you can achieve the success of your desires with Rudraksha in uplifting ways on Monday 4th March 2019. The divine magnetic event will usher immeasurable bliss as the overall upliftment of the beings at every level. The intoxication can be felt in the atmosphere and can be tapped by following the rituals that attunes one with the Shiva, the ultimate. Rudraksha plays a significant role in enhancing the energy of the individual at every level and harmonizing the whole being. During the auspicious occasion of Mahashivratri, the benefits of Rudraksha are multiplied as the energy synchronization of earth’s magnetic grid is optimum during the time. One can chant the Shiva mantras with the Rudraksha rosary (japa-mala); can hold the Rudraksha bead while meditating and various other ways to be open to the many blessings showered by Lord Shiva. 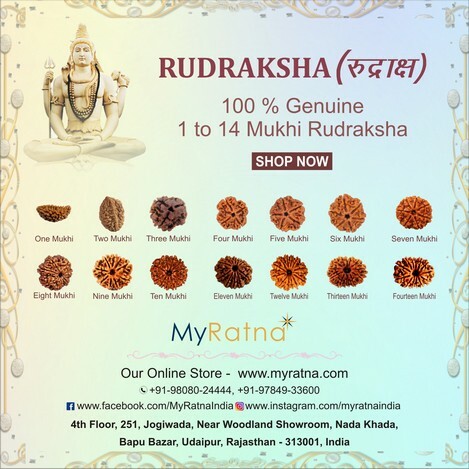 The most important aspect that makes the difference is that the Rudraksha must be genuine from the trusted authorized seller.